Can anyone identify the planes containing suspicious packages from yemen? Re: Can anyone identify the planes containing suspicious packages from yemen? Would`nt they have ripped the seats out to make room for, duh, parcels? Hi. Was listening and watching live coverage on CNN and MSNBC. that Emirates flight #201 from UAE had originated from Yemen a day earlier and thought to have containing package (suspicious) from Yemen. That is why first Canadian fighters over Canada and then USAF escorted it to JFK. That is all I know so far. The Obama administration has told the press that Obama was notified at 10:30, EST yesterday of this plot, yet it didn't intercede and depended upon the Brits to catch the bomb - which the Brits originally stated was not a bomb - instead of stopping the UPS flight on the ground in Yemen. Perhaps this was just incompetence upon the part of the Obama administration and US intelligence. I cannot remember many occasions when US governments have bragged about their incompetence. As the announcement by Obama was delayed until just before the end of the Friday News Cycle, and it will dominate the Sunday Talk shows instead of the US elections, . . .
Well, folks, don't forget to vote. "Believe nothing you are told"
Its gone a bit quiet on the news now - nothing since 24 or 26 more things seized in yemmen depending what channel you have on. yeah sure - they were able to build bombs of a sophoisticated level too i suppose? Notice how the media and Janet always mention the Underwear Bomber in all new incidents, even when we know that was a fraud and the State Dept admitted it was their guys who did it way after the fact. So, knowing the one they REPEAT AD NAUSEUM was a fraud, one can only think this is more of the same! And it's election time so we must have fearmongering! that kind of thing ! I heard them talking this morning about it on all the major networks, and saw Brennan, Janet and Ed Markey (I'm sure hes being paid well to push bodyscanners and the like). I will check out the networks later today to see if they are still running the same tapes. Does anyone have a link to where it was admitted the state department owned up to their involvement? Meanwhile the US president hinted at boosting the US military role in Yemen following reports about the "suspicious packages." So, is this the real reason for the demonization of Yemen yet again? So we can invade their country like we do everywhere else and make Obama appear strong pre-election? Disgusting! Throw all of the bums out in DC. Something is very rotten with Big Brown. What false flags can brown do for you? Note: UAE not listed either. THE UPS TERROR FLIGHT FROM YEMEN THAT NEVER WAS! Obama's "scare the Americans into voting Democratic" plan is already in trouble. The official story on Friday October 29th was that an unnamed ally issued a warning for British authorities to be on the lookout for a suspicious package sent from Yemen to Great Britain on a UPS flight. A search of the UPS flighty on the ground in Britain yielded a package containing a printer toner cartridge sprayed with a white substance that looks like plastic Christmas tree snow. Note carefully there is no battery to power this object, nor were any detonators found. The initial reports of the toner cartridge reported no explosives were found in it. Of course, Obama claimed exactly the opposite, which left the BBC struggling to placate the President while not allowing themselves to look like they were changing the original story to do it! But the story gets better! The original claim was that the suspicious package originated in Yemen and flew to Britain on an aircraft owned by UPS, and the media showed us all the video of a UPS aircraft being stopped and searched on the runway in Britain. But there is a problem. There are no UPS aircraft flying in and out of Yemen! UPS own website (from before the so-called terror incident) does not list Yemen as one of their service regions. A PDF file (which includes the history of the document from weeks ago) listing of all the international airports the UPS aircraft fleet flies to does not list Yemen as a destination! In short, there was not and could not be a UPS aircraft flying out of Yemen. UPS uses a subcontractor, Sun Tours, to handle shipping in and out of Yemen. Sun Tours sends their shipments via Yemenia Air, and Yemenia Air's Cargo Director reports there were no shipments sent through Yemen to Chicago for the 48 hours prior to the "discovery" of the toner cartridge in Britain. A second claim that a flight from Dubais carried packages from Yemen has been refuted by the United Arab Emirates' Civil Aviation Authority. 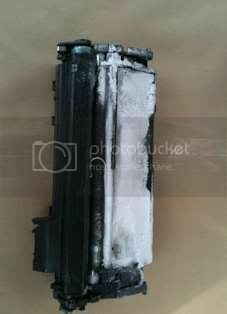 In short a toner cartridge that cannot explode shows up on a UPS jet which could not have come from Yemen, and Obama pounds it for all its worth trying to save the Democrats next Tuesday. Frankly I think Americans should be outraged not that Obama tried such a stunt, but that after all the times Bush was caught using terror scares for political gain that Obama thinks you are all stupid enough to fall for it again! If tonight's polls are accurate, you weren't and you didn't and Obama may have just screwed his own party to the point where they are all praying for Diebold to save them! Good overview of the false-flag/hoax IMO. 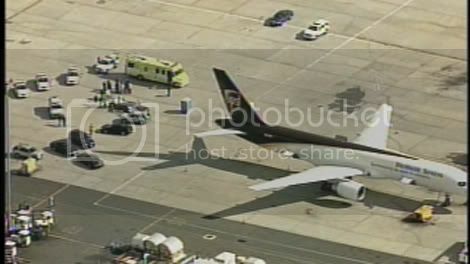 They will say it was a special courier delievery - and or a business special flight - not one commonly used. We have them banged to rights. Watch them shove the last 2 days worth of news down the memory hole and re write it ! "Election special" fake bomb delivery charter evidently. What a joke. They don't fly out of Yemen and they don't have a hub in Dubai -- though that city ahs been the site of a lot of UPS and CIA funny business. Total crock from square one. "When you need an October surprise and you absolutely need it there before the weekend before the election." Oh right -- that's the other guys. I'm sure we'll be hearing about them next. "Oh, well it was really a Fedex flight." Exactly. Watch them wriggle. I think they under estimated the extent , an intelligence of people like us whom never take things at face value and ask - is this real before flying off the handle on some anti muslim rant ! SAN'A, Yemen â€“ One of two powerful bombs mailed from Yemen to Chicago-area synagogues traveled on two passenger flights within the Middle East, a Qatar Airways spokesman said Sunday. The U.S. said the plot bears the hallmarks of al-Qaida's offshoot in Yemen and has vowed to destroy the group. ...For its part, FedEx said the shipment originated in Yemen and was confiscated at its shipping facililty in Dubai. Well, what do you expect from a bunch of folks named after the "Feds"? if you absolutely need the tail numbers, i can try a reverse enhance and figure out(hopefully) what the numbers were, just PM me. pro'lly get done Monday unless you poke me quick. seeing the font they use for the numbers would be a huge help too. having clear stock pictures are a huge help three. If anything, this is nothing but a huge scare tactic, I would think knowing HOW they knew the suspicious package, and WHERE would be more important. personally, if I were going to mail-a-bomb, I would put it inside innocuous something that would focus the blast, but on a wide body cargo plane, even if it did all I hoped for, it wouldn't depressurize the cabin. This story needs to be trashed asap. Good work everyone. The number, 666, has been changed. The new number is, 999. Right it has been id'd as a logic board (pcb) from a cell phone -- unable to transmit or receive on its own -- and no battery in the picture either. Rivero's article was wrong about that, above, I believe. Normally we wouldn't post readers comments but this is different. Sent in by a reader, it indicates the extent to which people are no longer buying the official version of the war on Terror. 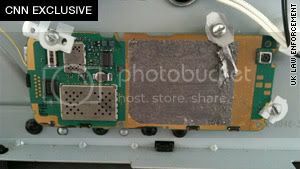 Below are readers comments to the article Al Qaeda ink cartridge bomb found on jet was linked to mobile phone SIM card. In fact the readers comments are more interesting than the article itself, which repeats the official line that "Fears have been growing rapidly over the terror threat posed to the West by Islamic fundamentalists based in Yemen" etc, etc. Also sent in by another readers is a list (PDF) of airports served by United Parcel Service (UPS). Note that UPS isn't on the list. the same week as the BA head honcho says that US security is over the top this happens....what a coincidence! More lies to keep the masses in check. Call me cynical if you will, but as soon as someone makes an intelligent comment about the over the top restrictions in place at UK airports - because we have been told to take them by the Yanks - a suspicious package is found. These same restrictions do not apply to (US Flag) planes flying in US airspace. Tis about time the 'mighty' USA stopped telling everyone else in the world what to do. Since 2000 we have had to put up with the utterances of a President that went to war, a PM that followed because he was told to and now a lame duck in the White House who hates the British and who needs to look big in the world to cover up his complete mis-read of the Drill Rig disaster in the Gulf. 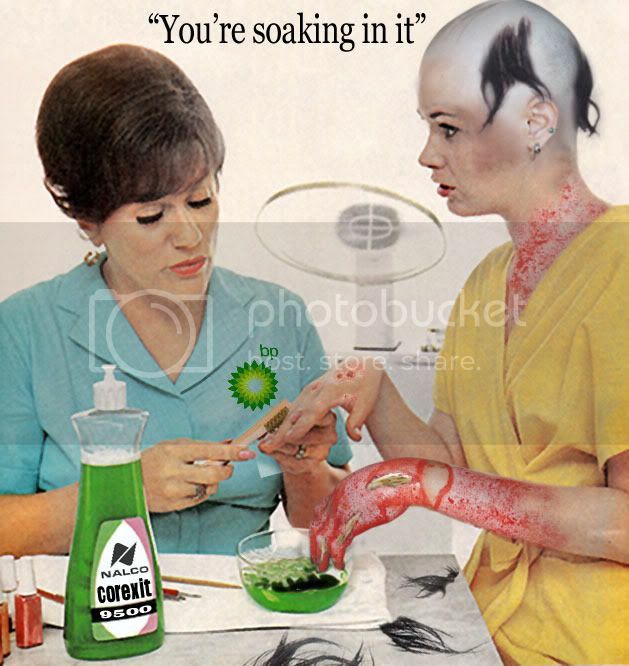 (Yes it was BP's rig, but a US company screwed up - Halliburton). Time will come in the not to distant future when the whole world will give the US the bird. Bit of a coincedence that this event occurs only a few days after Martin Broughton's comments about 'kowtowing' to US demands for increased security at UK airports. You couldn't make this stuff up. What a joke! It don't work anymore Dave, we are wise to these 'false flag' stories. Stories such as this no longer distract us from the fact that you have lied to us yet again and you will be kow towing to the EU with their demand for an increase in the budget. You are a fool to think that we, the electorate, are foolish enough to believe anything you say anymore. You don`t here of the israelis having bomb scares do you they have a system called profileing it works,So if you want ot know how to stop terrorists planting bombs on planes ask the israelis they are old hands at it. Take Yemen out of the loop. No flights in or out. Simple. Ba's chief complains about security check and blow me down a day later on American controled aircraft two bombs are found!!!! Hmm, just as the US goes to the polls. It's not just airports. I went to a meeting at the Gherkin in London today and had to show my passport, put my belongings on a scanner belt, walk through one of those security archways AND be 'wanded' before I could go to the meeting. Surreal. do you believe this ?, is there any connection between a proposed scaling down in security checks, and this highly publicised so called indecent. This hue and cry is all US instigated, to ensure passenger still have to remove shoes belts etc. Don't believe a word of it - do you ?. A toner cartridge with wires poking out of it. Mmm that IS suspicious isn't it? No explosives though (just exactly what one would expect to find in a broken toner cartridge). Very handy though, coming a couple of days after someone was stupid enough to suggest that we should all fly naked and de-hydrated was perhaps a bit silly. We are sick and tired of such "false flag" scares - designed to keep us all scared and "bury" bad news. In the 1970s, almost every other aircraft (or so it seemed) was hijacked by some group or other - how come we din't have all these restrictions then? Most people I know are awaiting anther "false flag" attack somewhere - so they can take away more of the few freedoms we have left. close to people when it Landed at J.F.K. considering they ' knew ' a device was on board ? Susan, Chicago USA, 29/10/2010 10:43 - you fly regularly now, did you do so before 9/11. I remember prior to that date there was no security at US airports, passengers and their family could all walk up to the gate with no bag check, no shoe check, no check whatsoever. All the reasons 9/11 could happen. Since then I have seen the most stupid security policies in the world, where they check flip flops on a little old lady, and let me wearing big combat boots which could hide much more through without a check. Taking your shoes off to look for explosives is stupid, we have dogs and machines that can detect explosives, so why the need to remove shoes apart from making you afraid and controllable by the experience? I just returned from the UK and I felt tempted to speak to the security people who were asking for shoes to be removed and who were stopping umbrellas from being taken aboard. After one has passed through security, one can then proceed to the duty-free store and buy a couple of bottles of wine or spirits. Anyone who has watched a bottle fight knows that a bottle can be used both as a club and as a cutting device. If the so-called war on terror were real there would be no bottles allowed on planes. The fact that I can buy a bottle, especially of ice wine, tells me that it is all crap to scare us into one world government. Forgive me for thinking all this somewhat strange. A day or so ago, UK airports were planning to NOT kowtow to the US and their security demands by relaxing some security measures in the UK - funny how a day later, the US states "explosives found on plane". Who can we believe? certainly not Obama and the Americans. How could explosives get on a plaine when your not even allowed to take on a bottle of water these days ? Why would terrorists make things so much harder for themselves by targeting planes when there must be millions of easier ways to cause trouble . Whats going on with the yob who kicked the old man in the head? ? Why does a UK citizen have to attack the "average American"? Why would you make a comment about American intelligence when we are your only real friends in the world? I know it has not always been a bed or roses between our countries; but who can each of us depend upon if not each other? It's that kind of mindless in-fighting that would thrill the wretches that want to kill us both. Save your vitriol for the French, at least they deserve it. You have to make allowances for the fact we had a bunch of socialist traitors in government for the last 13 years. In the same week as the BA head honcho says that US security is over the top this happens....what a coincidence! These were my thoughts too. Something doesn't smell quite right. So you'd be happy to get on a plane with no security checks I assume as there are no such thing as terrosirsts in your world are there Jay? Dear FedUpUk, I think you will find that Jay is quite certain terrorists exist in his world, but is equally sure that these "terrorists" are the secret services of western countries, either infiltratien would be terrorists groups, paying them or just planting this kind of "evidence" to scare all of us into submission. Get onto the internet and start getting more information for yourself. Just watch the story fade away. This is instigated by the Americans ( they have the same scare there ) their ' intelligence ( laugh out loud ) has told the UK. All false flags to get the US public and us scared. This is meant to distract us all from the impending depression and dollar collapse. Well it wont work Obama , because we are a little brighter than the average American. New world order, coming to you soon. Andy, Lincs. You are a classic example of a human being, who in a previous life, would have been a Turkey looking forward to Christmas. Doesn't the coincidence of these "Bombs" being found after the calls for security relaxation, not ring any warning bells in your head? Fortunately there are a lot of commenters on here who can see through the smoke and mirrors. How timely when the aviation authority wants a relaxation of security checks. America is a target of more bombs - coincidental or what!!!!!! Anyone else detect that this is just too much of a coincidence? Anything to keep the sheeple living in fear, lest they forget about the non-existent enemy they must always live in fear of and risk destabilising the global police state which the New World Order want us to live in. John from Luton if you want to ignore the USA goverments warnings on possible terrorist plots in the UK by all means do so. It's always a conspiracy with people like you. Blame everyone except the terrorists. We have people over here who think the same way. They are called liberals. The point I would make is that paying so much attention to the terrorists (or as I would prefer they were called 'criminals') is actually providing them with more ammunition. It keeps them in the public eye, makes people scared of them and provides them with a means to reach their goal. If instead everyone ignores them entirely, and deals with these incidents with emotional detachment then they will eventually realise that they are failing entirely with what they wish to do. The other point is, it is not possible for any government, police agency or anyone else to protect everyone from everything all of the time. To think that is simply foolish. This has Osama bin Laden written all over it. Until we get a One World Government and a fully micro-chipped population we will always be at risk. Thank Heaven for the brave, honest , ever-alert US and UK authorities. More false flag shenanigans. I for one don't believe any of this nonsense anymore. It's good to see that more and more people are seeing through these staged events. Interesting that when, at the beginning of the week the BA Chairman says that there are too many screening systems, most demanded by the US, and the US begins to bleat that suddenly suspect packages are found on an American UPS parcel service flight from Yemen, via Europe and UK, to the US. Sounds just a little too co-incidental so, who planted these devices that are suspect? @ Benton Atlanta, who posted "Save your vitriol for the French, at least they deserve it". Quite how the French deserve criticism, I don't know. They refused to be bamboozled into an illegal war, banned the burka and regularly stand up to their Govt.......... If anything, both the Brits and the Americans could do with a bit more of the same attitude! So there is talk of removing the pointles searches at airports, and now there is an alert, smells of A merican scam to me..
How very convenient following so soon after a call to reduce insulting security checks at our airports. You have to wonder who the airports are employing airside? ? Have seen many of them both here and in the UK just waltz right on through with their bags!!! Coincidently this was discovered just days before Obamas midterm election fate is delivered.Also just after airline boss of BA critisises security at airports . Bravo no one is believing the bull anymore. The war on terror is a hoax and a bad joke. We all know who really did 911 and we are sick of the lies. Dont read into the red arrows thing too much. A lot of the UK rely on the press and the BBC for their news, and believe everything that is shovelled down their throats. But not all, I am with you my friend. Do they truly think we're all daft? We DO know Obama has mid-term elections coming up, and there's nothing like keeping the populace scared (an easy thing to do in the US) to divert their attention from the pig's ear you're making of your term. After all, it worked for Dubya. Sadly, many in Britain lack the intelligence to understand who our real allies are in the world and get their perverted kicks from bashing all things American. I would much rather count the USA as our ally, than any tin-pot regime. Plus, you are, after all, related to us! These people here are so scared of everything, total emotional wrecks, need drugs to get them through life. An easy target for a take over. This is a none story aimed at keeping the sheep afraid. Stinks of propaganda. More propaganda to keep the sheeple in "terror" mode! Bottom line = lies, lies and more lies! The second picture down is the circuit board from a mobile phone. You can see where the screen and even the camera lens are.. But, is it a credable threat? Not trying to be cynical here, but isn't it the mid term elections in the USA next week? This isn't the first time we've seen this and it's always at a stage where someone needs your votes! It certainly does seem to be an incredible coincidence that this should suddenly happen at the same time as airlines are complaining about excessive security checks, travellers tax hikes and around the same time as Obama needs a poll boost. I am not normally a conspiracy theorist, but the timing couldn't be better for certain people. WASHINGTON (AP) â€” The young Yemeni woman arrested on suspicion of mailing powerful bombs to U.S. synagogues was released on bail Sunday, and a Yemeni official said authorities no longer believe she shipped the bombs. Authorities arrested the woman after tracking the name and address used on the packages. But after the woman was arrested, the shipping agent said she wasn't the one who signed the shipping documents, the official said. The release means investigators no longer have any suspects in custody in a suspected al-Qaida plot that authorities believe was intended to take down cargo jetliners. Well, that is where they should start looking for the culprits -- of the hoax. Yeah like the "all-seeing" Saudi bin Ladins just "happen" to have 'detected' an outright US electioneering fraud - what a crock. Actually Yemen is a Pentagon client state, receiving $140 Billion per year--they'll do whatever they're ordered to do, including allowing the US to carry out fake terrorist attacks from its soil to further the tyranny and wars-for-profit agenda.